Category: Adhesives. Tags: adhesives, pressure sensitive, psa. Water-based acrylic pressure sensitive adhesives (PSAs) are an economical solution for short to medium-term applications. Water-based acrylic adhesives offer good contact clarity and performance. These adhesives are intended for indoor applications only. Solvent acrylic pressure sensitive adhesives (PSAs) offer excellent clarity and performance. Solvent acrylic adhesives are water/ moisture resistant, making them ideal for outdoor applications of all types. This adhesive solution typically includes added UV inhibitors to protect graphics from fading caused by sunlight. 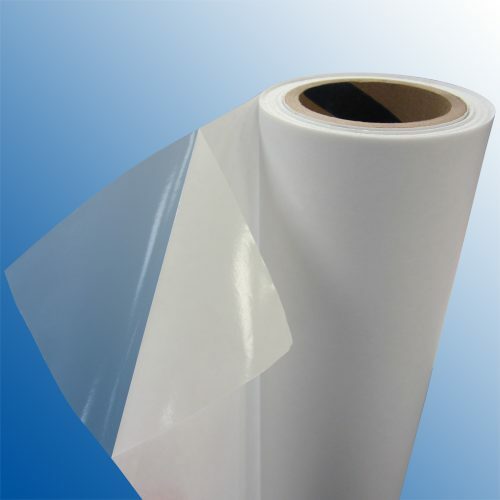 Solvent acrylic adhesives are available on films including Polyester, Vinyl, and Polycarbonate.